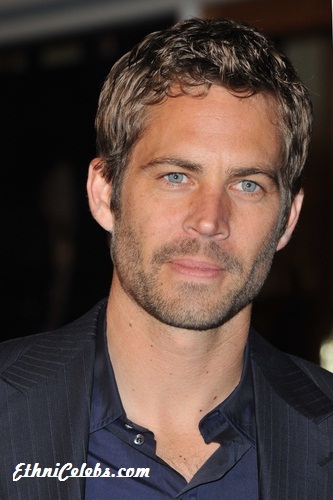 Place of Death: Valencia, Santa Clarita, California, U.S.
Paul Walker was an American actor. He was known for starring in the highly successful The Fast and the Furious franchise, among many other roles. Paul was the son of Cheryl (Crabtree), a model, and Paul William Walker, a contractor and boxer who was a Golden Gloves champion. Among his siblings is actor Cody Walker. Paul was of mostly English ancestry, with a smaller amount of German roots, and distant Swiss-German ancestry. His ancestry included (relatively) recent immigrants from England and Germany, as well as English roots from ancestors who had long lived in New England, and elsewhere in the United States. Paul had a daughter, Meadow. Paul’s paternal grandfather had a boxing career as “Irish” Billie Walker, but it does not seem that he had any Irish ancestry. Paul Walker (the actor) had stated that his own ancestry was partly Irish, but no traceable Irish ancestry has yet been documented for Paul Walker. Paul’s paternal grandfather was Paul William Walker II (the son of Paul William Walker and Harriett/Harriet June Willey). Paul’s grandfather Paul was born in California. Paul’s great-grandfather Paul Walker was born in Wisconsin, the son of George Walker and Anna/Anne/Ann Augusta Tilley, who were from England, with Anna having been born in Clerkenwell, London. Harriett was born in Illinois, as was Harriett’s father, Charles Leon Willey (Charles’s parents were Ebenezer “Eben”/”Eban” Glover Willey and Ellen Augusta “Nellie” Hopkins); Paul’s great-great-grandfather Charles was of English descent, and his parents’ families had long been established in New England. Harriett’s mother, Ella Pearl Clark, was from Pennsylvania. Paul’s paternal grandmother was June Vivian Oefinger (the daughter of Alma John “Elmer” Oefinger and Elizabeth Idell “Betsey”/Betsy Spooner). June was born in Connecticut. Alma was the daughter of Johannes “John” Oefinger, a German emigrant, from Trossingen, Wuerttemberg, and of Louisa Ann Stark/Stard, who was born in Deerfield, Massachusetts, to German immigrants, Ludwig Frederick “Lewis” Stark and Mary/Marie Rechert/Richert. Betsey was the daughter of William Hampton Spooner and Annie Woodruff Smith, who were from families long-resident in the United States, and of English descent. Paul’s maternal grandfather was George Milton Crabtree (the daughter of Louis F. Crabtree and Nina Letha Price). Paul’s maternal grandmother was Viola Annalea/Ann Smith (the daughter of Lester Orville Smith and Hazel Clarinda Mitchell). Viola was born in Missouri. Lester was the son of George Wesley Smith and Frances Ellen Newman. Hazel was the daughter of Henry Sewell Mitchell and Hattie Belle Hazelwood. Paul’s maternal grandmother’s ancestry is heavily English, with more distant Swiss-German and German roots. I assumed he had Scots lineage with his surname but maybe not. Isnt Walker an english name?